IBM OmniFind Yahoo! Edition was a Lucene based search engine developed by IBM and Yahoo! Unfortunatelyit was quit buggy, and newer really made it past the beta phase. It was discontinued by IBM around 2011. 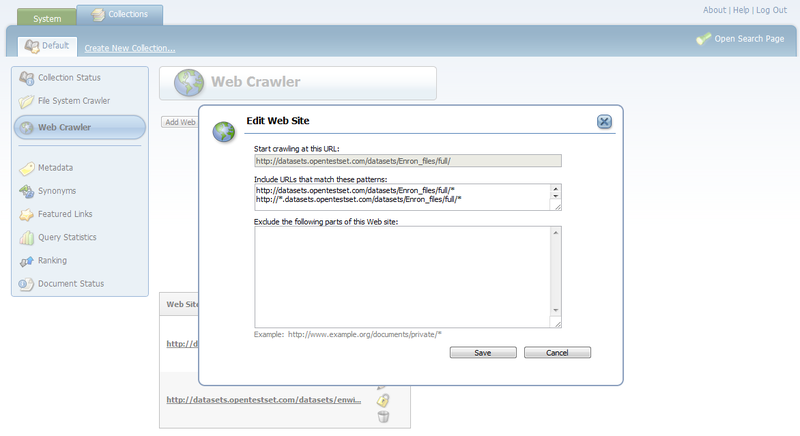 You can try a demo of IBM OmniFind Yahoo! Edition online here. IBM OmniFind Yahoo! Edition has a classic, but very basic looking search result page. The highlited snippets are not especially good, and most documents get a long http path as title. IBM OmniFind Yahoo! 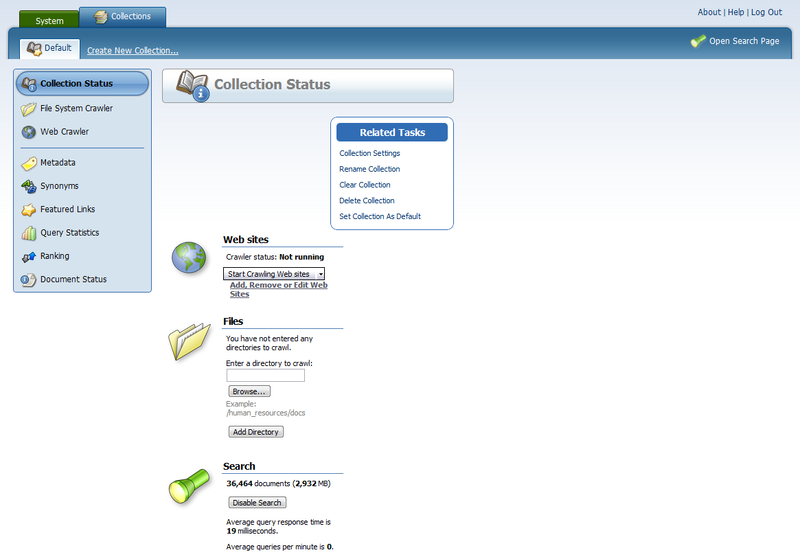 Edition has a basic web based administration interface. Welcome screen showing what state crawling is in. Adding a new website to be indexed. 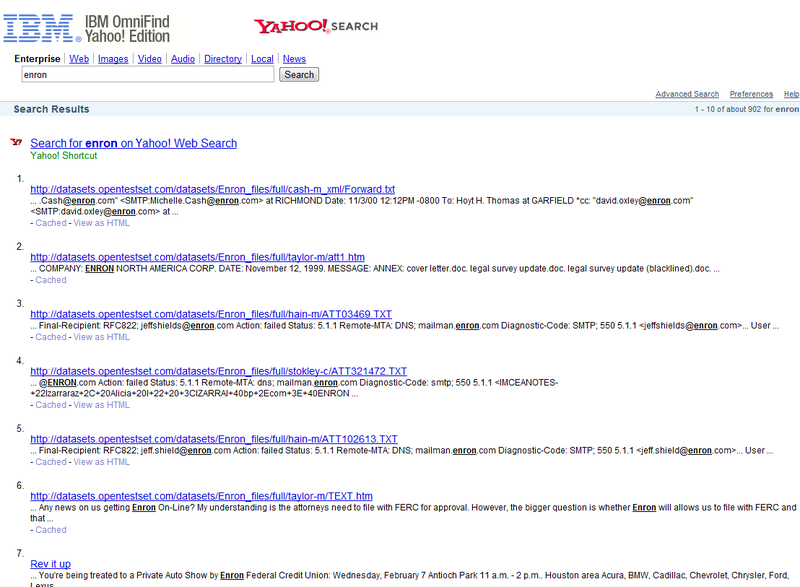 IBM OmniFind Yahoo! Edition don’t offer any advanced statistic on user behavior. 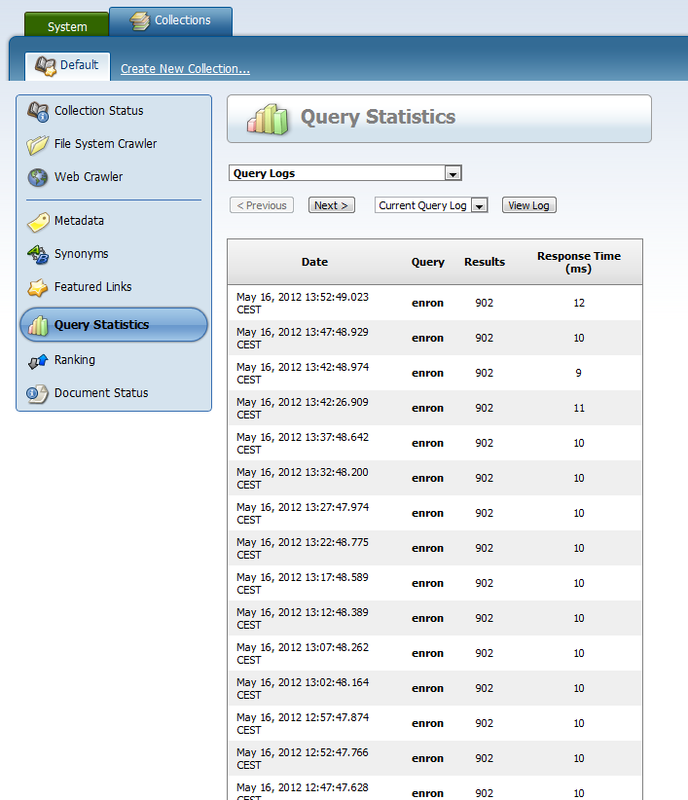 The only data you can view is the query log.